Thunder Trucks is excited to release a collab truck in support of Skateistan, the non-profit organisation using skateboarding and education for youth empowerment. Thunder team riders Mikey Taylor, Chris Cole, Erik Ellington and Neen Williams got together to talk about about Skateistan’s work with youth around the world for an exclusive edit. 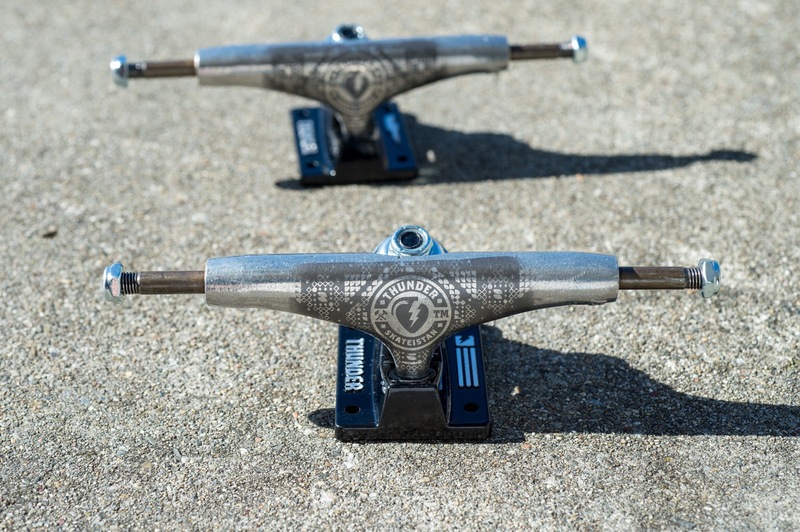 A portion of the proceeds from sales of these trucks will go to Skateistan to support their skateboarding and educational programs for over 1600 youth at Skate Schools in Afghanistan, Cambodia, and South Africa. Available from Skateistan’s online store, Thunder and select skate shops worldwide.